“LOVE Me! Love Me Not! Love Songs from the Silver Screen” is a concert-spoken word event, with a cocktail buffet, to mark Valentine’s Day at 6 p.m. of February 14 at Canto’s guesthouse on Kisad Road, Baguio City. This is a production of Guacamole Productions and the Cultural Arts Events Organizer with the sponsorship of the National Commission on Culture and the Arts, Smart Communications Inc., Genesis Transport Service Inc., and Mother’s Garden and Restaurant. 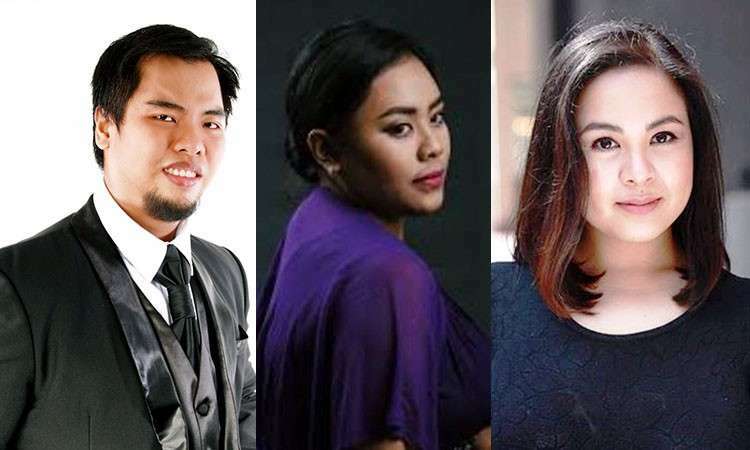 Featured performing artists are National Music Competition for Young Artists and Jovita Fuentes Vocal Competition winners Nomher Nival, tenor, sopranos Myramae Meneses and Nerissa de Juan, with Kim Sarmiento and Gabriel Paguirigan as alternating pianists. Emceeing the show is tenor Jan Briane Astom. Among the songs lined up in the program are love themes from such films as Modern Times, Kismet, The Student Prince, Two for the Road, The Thomas Crown Affair, Umbrellas of Cherbourg, A Man and A Woman, Grease, Casablanca, My Best Friend’s Wedding, Cinema Paradiso, Il Postino, La Vie En Rose and others. Some of the salinawit of great movie love songs translated by poet Jose “Pete” Lacaba are also included. For inquiries and to reserve a table at P1.5k a head, call or text 0927-986-7188. Exclusive Baguio ticket outlet is Mt. Cloud Bookshop at Casa Vallejo, Upper Session Road. “Love Me! Love Me Not!” will also do an outreach performance at 5:30 p.m. of February 15 at the University of the Philippines Baguio’s Teatro Amianan. This is free admission for the university’s students, teachers and personnel. Outsiders can buy P200 tickets at the gate.